Over the winter 0f 2003 I did a major remodel of my landlady's bathroom. 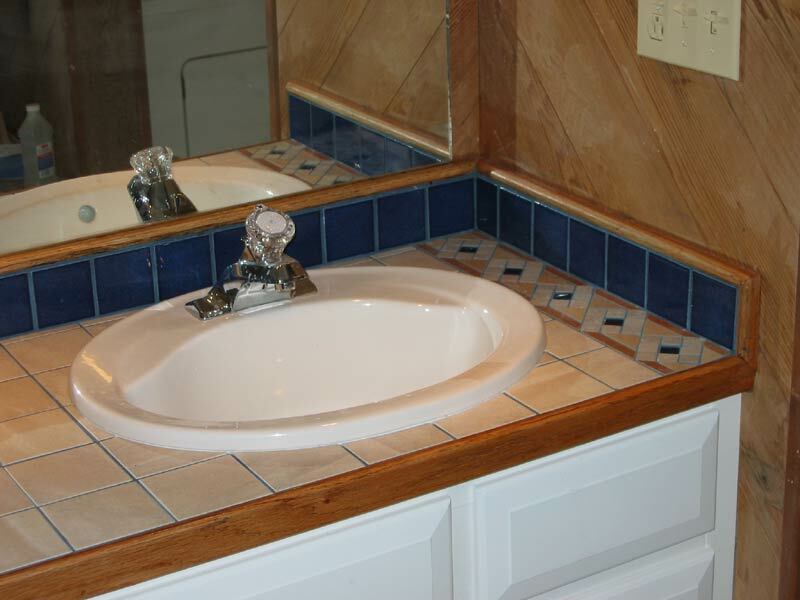 We remove a shower stall and replaced it with a laundry tub, redid most of the ceiling to remove soffits, redid most of the lighting, added a fan, replaced the vanity and replaced the tile floor. Unfortunately, I did not take any "before" photos to show the changes. This is the new Laundry tub. 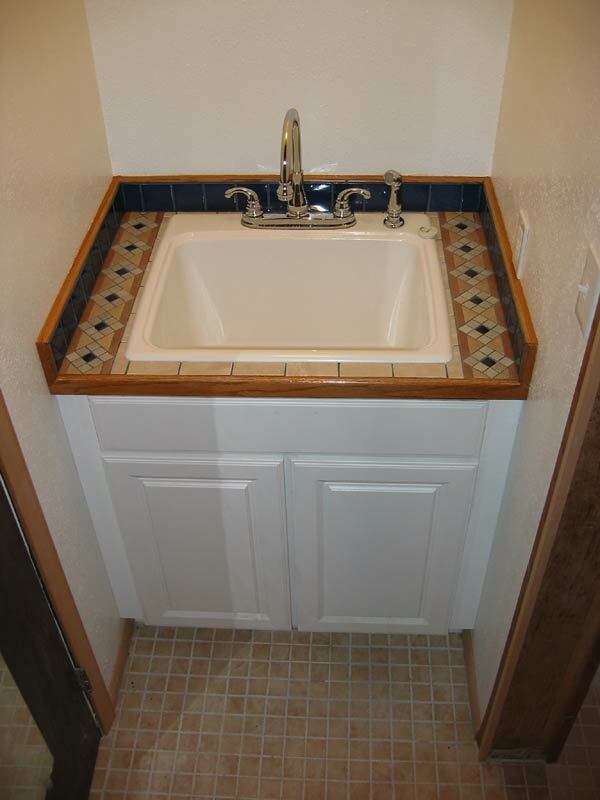 Note that we dropped a tub into a kitchen base and added a tile countertop. This space used to be a shower stall. The stall was removed, the walls were sheet rocked and the area was rewired to add an outlet. This is the new bath vanity. 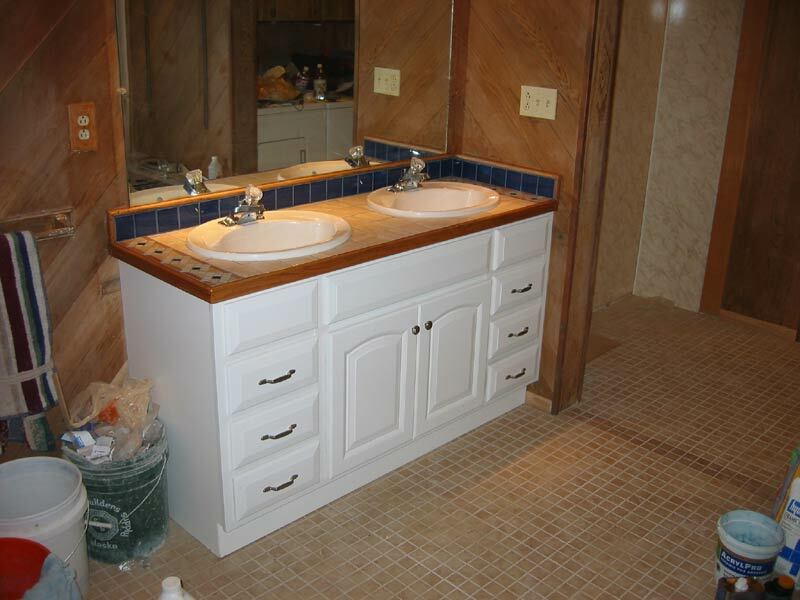 Again, we made a tile countertop and, like the original, we used two sinks. 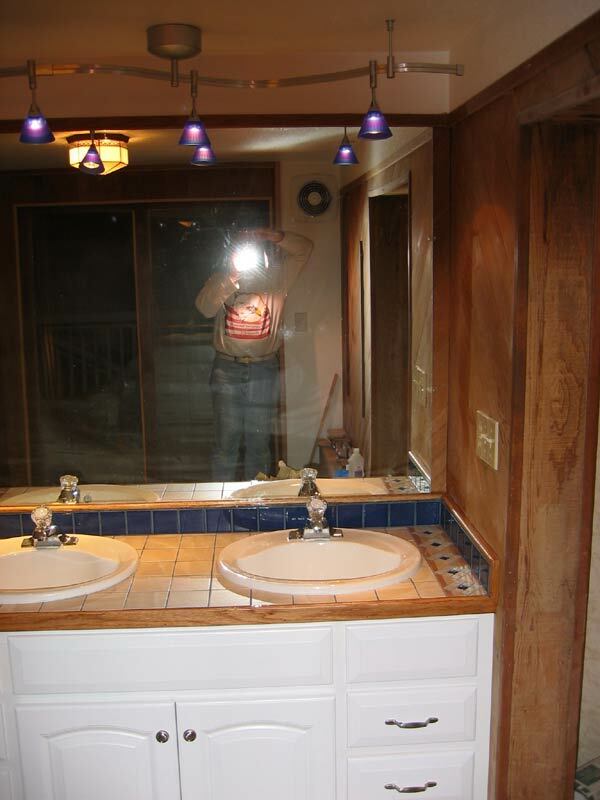 This view is looking into the bathroom. Note the new tile floor. 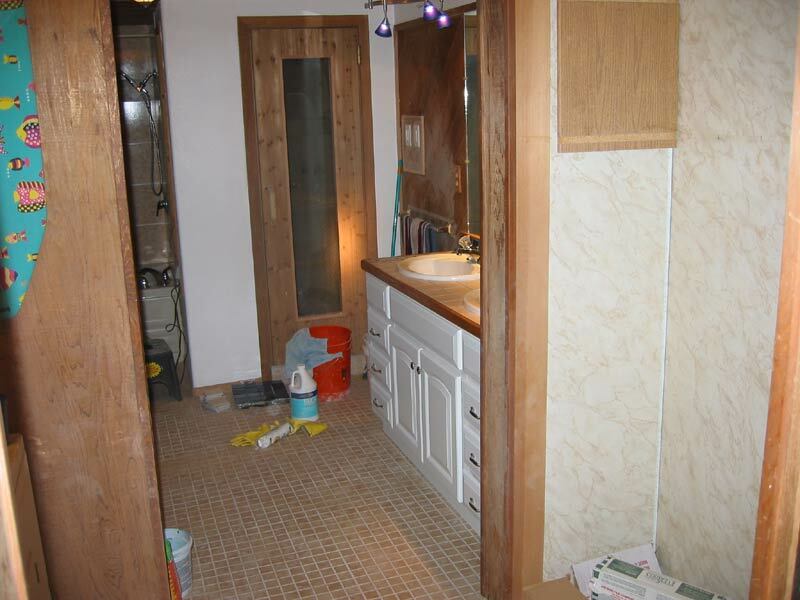 The bathroom includes a whirlpool tub and a sauna. sheet rock meets the existing cedar wall. Here is a detail of the countertop on the new vanity.